One need only to open a newspaper to grasp the profound influence of religion upon international affairs – from the Israeli/Palestinian conflict, to Al-Qaeda cells in Afghanistan and globally, to Kashmir, to the Lord’s Resistance Army in Uganda, to warfare in Darfur, to the influence of Evangelic Christianity upon US politics. Currently, the Islamic State (IS), formerly known as the Islamic State of Iraq and Syria (ISIS) and the Islamic State of Iraq and the Levant (ISIL) threatens American interests in the Middle East and the future of stability in the region. This group uses a radical interpretation of Islam to justify methods of terror and violence considered extreme even by Al Qaeda. They have released high quality videos of the beheadings of American journalists, international aid workers, and recently, a group of Coptic Christians. In February, a video portrayed a captured Jordanian pilot being burned to death in a cage. This group acts upon transnational religious ideals, recruits militants from across state borders, and claims sovereignty over territory whose boundaries are defined by religion. Current events such as the rise of the Islamic State fly in the face of common wisdom in international relations theory – the notion that after the Peace of Westphalia, religion lost political salience in the international system. This demonstrates the IS leader’s vision for a global Caliphate and the effect of religious ideology in recentering collective identity from the nation state to the religious community. Though IS seems to be challenging the system of sovereign states, and certainly Iraq and Syria’s sovereignty, it could be argued that it is behaving very much like a state. It is effectively governing eight million Syrians and Iraqis, with several hundred thousand of those governed being in support of the Islamic State. It is headed by al-Baghdadi, who has assumed the title Caliph. Beneath him, al-Baghdadi has a chief advisor on Syria and a chief advisor on Iraq, each of whom lead 5-7 governors. There are nine councils, including the Leadership Council, the Shore Council, the Military Council, the Legal Council, the Fighters’ Assistance Council, the Financial Council, the Intelligence Council, the Security Council, and the Media Council. The Islamic State is not just a strong military force, it is also attempting to govern the areas of Iraq and Syria it has claimed control over; in some cases it is even providing social services. Quinn Mecham marked its varying levels of success at state functions, including tax and labor acquisition, defining and regulating citizenship, and facilitating economic growth, among others. (Mecham, 2015). All of this raises the question: can IS eventually be considered a Westphalian state with sovereignty over its borders? Obama does not acknowledge the state-like attributes of IS and deems it a terrorist organization, even comparing it to “cancer” later in the speech. (Obama, 2014) Yet in terms of the establishment of a territorial Caliphate with a bureaucratic infrastructure and ruling structure, the Islamic State has already done more state building in its short existence than in the many years since Al Qaida was founded. Yet, it has a long road towards recognition as a sovereign state with legitimate power by the international community. Though IS is exhibiting state like behavior, there is evidence that the jihadists fighting for IS make up a transnational body. In IS’ attempt to take over the city of Ayn al-Arab, Syria, on September 25, 2014, there was evidence that the IS fighters were from places as disparate as Egypt, Belgium, Turkey, and Italy. (Zalewski, 2014) IS recruits come from around the world responding to a religious identity that transcends nation-state boundaries, to fight for a new, sovereign state with territory defined by that identity. Even Americans have traveled to join IS in Syria. On August 23, 2014, Douglas McAuthur McCain became the first American to die in Syria while fighting for IS. (Schmidt, 2014) This provided evidence that American IS members are going abroad to fight instead of training to be terrorists at home. Recently three British teenagers were recruited to ISIS by Aqsa Mahmood, a Scottish teenager who left Glasgow for Syria in November 2013. (De Freytas-Tamura, 2015) These IS members whose citizenship originated in Western democracies who are now in Syria exemplify foreign fighters motivated by a religious transnational ideology that supersedes national loyalty. A New Conception of Sovereignty? The Islamic State, a transnational religious organization with violent means and a vision of a pre-Westphalian world order, does more than prove the salience of religious principles to world politics. It offers a new conception of the most profound tenants of international relations theory – sovereignty. IS claims sovereignty for its Caliphate yet rejects the treaty from which “sovereignty” as a modern concept was born – the treaty of Westphalia. IS challenges traditional Westphalian conceptions of sovereignty in its pre-Westphalian vision of world order, i.e., a Caliphate. It envisions the world in terms of a war between Islam and the secular state, and particularly between the Islamic world and the US. 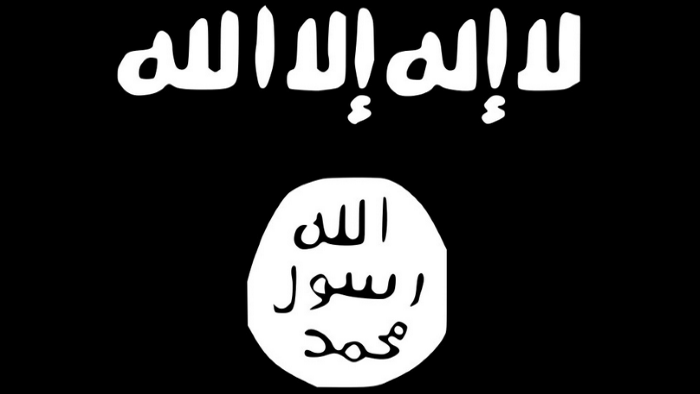 Even the iterations of its name reflect the growing commitment to a goal of universal Islamic rule – from ISIS (Islamic State of Iraq and Syria) to ISIL (Islamic State of Iraq and the Levant) to IS (Islamic State). The Islamic State poses an interesting vision of the sovereign state that is both Westphalian and pre-Westphalian in nature. It demands recognition as a sovereign state while it seeks to create a new world order in which territorial lines are based on religious identity. Though this position is untenable, it reopens the scholarly conversation on sovereignty and transnational actors. IS is able to mobilize a community of people bound by religious values that exists beyond the territorial boundaries of states, and in doing so presents as a substantive, nontraditional actor in a world dominated by nation states as the primary actors. By mobilizing an international community based on religious principles to challenge the domestic politics of states, transnational religious movements challenge traditional conceptions of state sovereignty. According to Philpott (2001), Westphalian sovereignty has “three faces”. First, Westphalia made the sovereign state the most powerful and legitimate form of political unity. Second, it found a government with control over its territory to be the criteria for statehood. Third, Westphalia removed previously legitimate restrictions on a state’s activities within its territory. (Philpott, 2001: 7) These three faces encapsulate the most traditional definition of sovereignty, that a sovereign, territorially defined state had supreme authority within its borders and was part of a world order in which states were the dominant actors. This definition remained relatively unchallenged for centuries. However, in the late twentieth century, particularly the 1990s, the conversation about sovereignty started to change. At that time, “World summits on human rights, the environment, population and women brought states together with relevant and often obstreperous NGO forums and created a new arena for world politics: transnational civil society.” (Rudolph and Piscatori, 1997: 9) The older theoretical discourse, united in the principle that states were the only meaningful actors in the international system, seemed inadequate to capture this experience. New theories were created in response. Bull discussed state cooperation with his “Grotian” concept of “international society.” Keohane, Krasner and others “elaborated on the idea of state cooperation via treaties, international organizations, and regimes.” (Rudolph and Piscatori, 1997: 9) Neomedieval discourse started to raise “the possibility of multiple overlapping institutions, organizations, and practices in conjunction with cooperating states that limited and shared sovereignty.” (Rudolph and Piscatori, 1997: 9) In the Islamic State there is a strange meeting of the power of transnational jihadist ideology, a vision for a pre-Westphalian world with religiously defined borders, and a desire to arrive at that world through the creation of a new sovereign state. IS not only seeks to create new territorial boundaries based on transnational ideals, but boldly claims sovereignty over the territory, newly defined as a Caliphate. Rudolph’s offers a world in which transnational religious movements and state sovereignty could coexist. However, the Islamic State, comprised of and supported by multiple, overlapping, transnational civil societies, seeks to have its territorial sovereignty respected even as it rejects the Westphalian system. If Westphalia birthed the conception of sovereignty that defines contemporary world order, which it did, than the Islamic State’s claims are hypocritical. Robert Jackson defined the sovereign state as “an authority that is supreme in relation to all other authorities in the same territorial jurisdiction and that is independent of all foreign authorities… supremacy and independence are not two separate characteristics: they are two facets of one overall characteristic: sovereignty.” (Jackson, 2007: 10-11) The Islamic state defends its own territorial integrity and supreme authority while rejecting the Westphalian world order which established those values. It is like a teenager demanding rights, while disregarding the rules and the sacrifices which have made those rights possible. Although the Islamic State has made remarkable gains to becoming a state in its short existence, its claim to sovereignty is paradoxical at best. It seeks to reestablish a Caliphate, completely disregarding the territorial integrity and right to sovereignty of surrounding states, even the system of nation states as a whole. And yet, it claims ultimate authority and power over its own “state”, based on religiously defined territorial lines. Richard Nielsen recently wrote that “This one-sided sovereignty is hardly a recognition of sovereignty at all.” (Nielsen, 2015) It is an untenable claim which the international community will not support. The extent to which IS challenges sovereignty depends on its future actions. Will IS ultimately build a strong state in Syria and Iraq, or even a Caliphate acting as one state, a state that provides for its citizens, controls the affairs within its borders, and garners some level of international legitimacy? Or will it remain a transnational religious movement that rejects one of the basic premises of modern international relations – Westphalian sovereignty – and organize violent action across state borders, motivated by theological principles, with partially thought out political consequences? Will an ultimate success as a state change how sovereignty is conceived, perhaps opening channels for the study of transnational religious movements as important global players? Or will a failure to successfully organize a state based on religiously defined territorial lines simply serve to strengthen Westphalian sovereignty in its most traditional iterations? Whatever its future statehood or lack thereof, the Islamic State’s current hypocritical, one-sided conception of sovereignty cannot survive in the current world order of nation-states. Wording in title inspired by Stephen Krasner’s seminal work on sovereignty. Krasner, S. (1999) Sovereignty: Organized Hypocrisy, Princeton, NJ: Princeton University Press. Damien McElroy, D. (2014) “Rome Will Be Conquered Next says Leader of Islamic State,” The Telegraph, 1 July. De Freytas-Tamura, K. (2015) “Teenage Girl Leaves for Isis, Others Follow,” New York Times, February 24. Jackson, R. (2007) Sovereignty, Cambridge, UK: Polity Press. Mecham, Q. (2015) “How Much of a State is the Islamic State?” Washington Post, Feb. 5. Nielsen, R. (2015) “Does the Islamic State Believe in Sovereignty?” Washington Post, Feb. 6. Obama, B. (2014) quoted in “Transcript: President Obama’s speech outlining strategy to defeat the Islamic State,” Washington Post, September 10. Philpott, D. (2001) Revolutions in Sovereignty: How Ideas Shaped Modern International Relations, Princeton, NJ: Princeton University Press. Rudolph, S. and Piscatori, J. (1997) Transnational Religion and Fading States, Boulder, CO: Westview Press. Schmidt, M. (2014) “American Fighting for ISIS killed in Syria,” NYT, August 26. Zalewski, P. (2014) “How Islamic State Wages War,” Businessweek, September 26. Hope Lozano Bielat received her PhD in Political Science from Boston University and her MPP in International Security from the Harvard Kennedy School. She currently serves as a Fox Alumni Research and Service Fellow at the University of Pennsylvania. Her research interests include the intersection of international relations and religion, transnationalism, terrorism, and inclusive security.